Peruvian unprocessed Virgin is 100% Human Hair Body Wave. It is a real human hair extension. 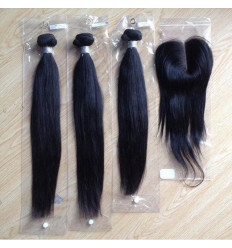 The hair is premium quality Virgin Hair that has lovely look and soft texture. It last for a long time. It lasts at least two 2 years. It is easy to maintain and it does not shed on tangle.